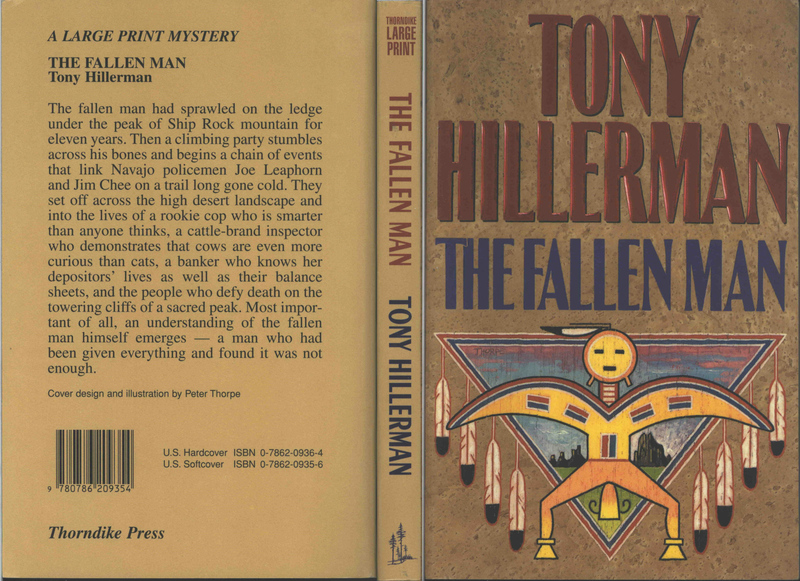 This is the paperback large print edition of Tony Hillerman's novel The Fallen Man. 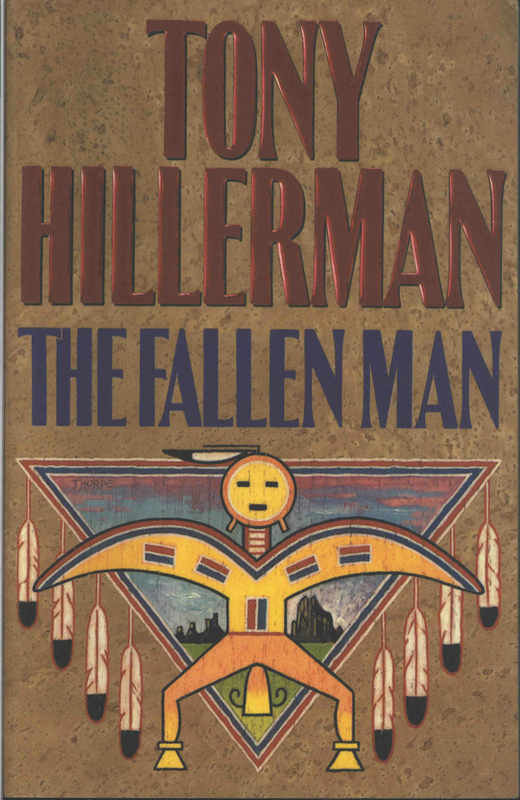 It was published in 1997 by Thorndike Press, Thorndike, Maine. The cover design and illustration are by Peter Thorpe and are replicas of the original first edition artwork. The illustration is a representation of a Navajo Yei figure in front of an upside down triangle with feathers hanging from the sides. Inside the triangle are some sandstone formations on one side of the Yei figure and Ship Rock mountain on the other side, below a sky with clouds and New Mexico sunset coloration at the top. The back cover has a tan background and a large print synopsis of the plot of the novel. Cover credit, bar code, publisher imprint, and ISBN information are also printed at the bottom of the back cover. On the spine, the book title is printed in red, the author's name in blue.